Quick summary: The Enviroweek Waste Warrior Challenge encourages students to explore their day-to-day wastage and make better choices. This resource is structured in three parts – each being an individual activity. Part 1 – Tune In: Students explore renewable and non-renewable resources and take responsibility for limiting and considering the environmental impact of unwanted food packaging. 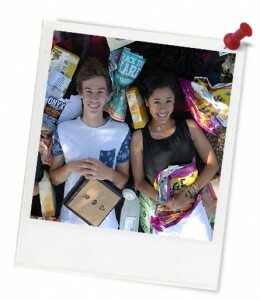 Part 2 – Act: Students plan and develop their own Waste Warrior Challenge. Part 3 – Share: Students share their experiences and inspire others to take action. Following this lesson plan is an ideal way for your school to take part in Enviroweek. You’ll be joining thousands of amazing teachers in making a difference and creating positive environmental change. Students understand the impact of waste on our environment. Students recognise the impact of plastic and plastic bags on our environment. Students collect data about the school’s renewable and non-renewable waste management system. Students will rethink their waste management practices and take action to reduce wastage personally. Resources required: Internet access, Student Worksheet. Prior to the ‘Tune In’ activity, collect a range of plastic bags to bring into class. You may need other resources depending on the challenge the students choose to do. Homework and extension opportunities: Students may choose to use scales at home to weigh household rubbish bins and reduce the amount of waste going to landfill. Safety: Students and teachers should take care to protect themselves when dealing with rubbish, wearing gloves if necessary, and taking care when lifting. 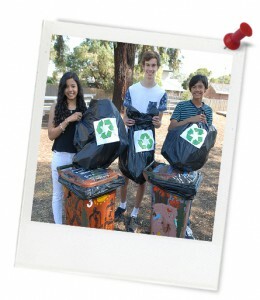 Hot Tip: Try to get the whole school taking part in the Waste Warrior Action for Enviroweek. Your class can plan how the whole school can take part. You may need to seek approval from the School Council or the Principal. Key words: rubbish, waste, plastic bags. Syllabus outcomes: SC4-11PW, SC5-13ES, SC5-7WS, SC5-8WS, SC4-12ES. General capabilities: Literacy, Critical and Creative thinking. Overarching learning goals: Students understand the impact of plastic bag waste on the environment. They begin to take personal responsibility for reducing unwanted packaging and rethink their ideas about waste. Students take action to reduce their personal impact on the environment. Teacher content information: Plastic can be particularly harmful for the environment. There is a massive amount of plastic waste in our world and unfortunately, it doesn't break down naturally (or 'biodegrade'). No natural process can break it down or make it disintegrate. So it ends up polluting our environment and causing damage to animals. The best thing each of us can do to help address this problem is to reduce our use of plastic. Share some tips with your students. Thought starter: Could you live without plastic? Working independently, watch this video below and answer the questions below. As you are watching, make a note of the things that you find interesting, important, or insightful. When you have finished watching this clip, choose three of these interesting, important and insightful items that most stand out for you. For one of these, choose a colour that you feel best represents or captures the essence of that idea. For another one, choose a symbol that you feel best represents or captures the essence of that idea. For the other one, choose an image that you feel best represents or captures the essence of that idea. Use this document to record your colour, symbol and image.